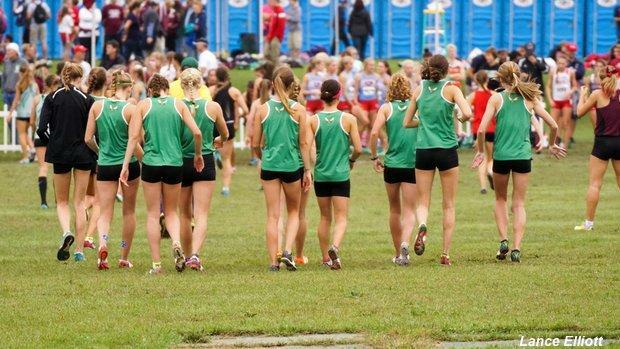 Matt Gabrielson is ready to see how his Edina High girls cross country team handles adversity heading into the Roy Griak Invitational on Saturday. In many ways, he believes it's not so much about the times his team will hit on a difficult Les Bolstad Golf Course this weekend, but rather how his team races under the conditions and against stiff competition. "We really want to go into that race and not let the circumstances dictate how we're approaching it mentally and in the race," said Gabrielson, now in his seventh year as the head coach of the program. "It's how we're sticking to our race plan. That will be the super important [part of] that experience. And as we go into the section, state, and hopefully, region and hopefully the national meet, that will build upon itself." There's also this: Edina, the winner of Minnesota's last two 2A championships and a qualifier of NXN over that span, enters as the defending Roy Griak champion, too. The Hornets won their first title last year. But like most teams around the country, Edina has dealt with some injuries over the last few weeks. And that will do no favors for the Hornets when you consider that Great Oak (California) and Naperville North (Illinois), currently No. 5 and No. 10 in the Flo50 rankings, will be running as well. Then there's in-state rival and No. 15 Wayzata -- which is trying to steal away a state title in 2A this year -- and teams like Minnetonka (Minnesota), Minneapolis Washburn, and Dowling Catholic (Iowa), among others, also vying for a Griak title. "I tell them, 'It's about getting the best out of yourself on that day, and it's about fighting through challenges and difficulty so the team does better,'" Gabrielson said. "Early on, we were really worried about who would be in top seven and who would run varsity. But just through conversations, we realized that what we need ultimately is the team to run well. I do my best to push the team through that broader goal." Gabrielson, a former professional runner for Team USA Minnesota and 2:13 marathoner, has done well coaching a team of over 150 girls through a transition period. 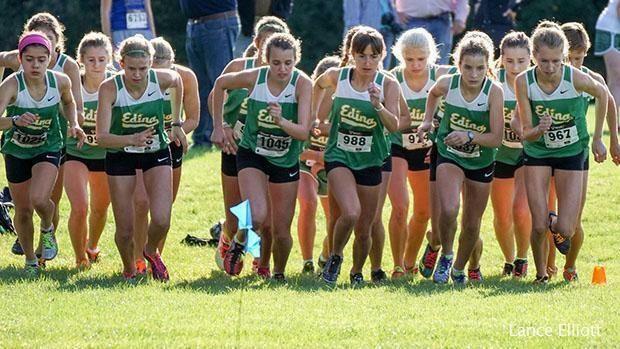 While Edina remains one of the most talented girls programs in the state, they also graduated three runners from their top seven in last year's state meet, including senior and No. 1 Amanda Mosborg. The team's new No. 2, Maria Rickman, recently sustained a stress reaction in her foot that may keep her out for a significant period of the fall. And sophomore Morgan Richter, who ran a career PR of 18:09 at NXN Heartland and finished 21st, is currently out as well. But ultimately, one of Edina's greatest assets is its depth, which is a product of Gabrielson's effort in the middle school ranks and the varsity team's massive roster. It helps that senior Emily Kompelien, the team's No. 1 runner, has remained consistent and confident to begin the season, too. Naturally, a traditional power like Edina is going to produce some surprises like senior Katherine Berube, a 27-minute runner a year ago who has opened with two straight performances of 19:36 and 19:31.89. Sometimes that naiveté makes a difference. A week ago at the Lakewood Applejack Invitational, Berube hung with defending 2A champion Anna Fenske through the first mile, cruising through in 5:33 before finishing fifth in 19:31.89 -- Fenske won in 18:07.29 -- but a largely non-varsity Edina team was first with 33 points. "Stories like that, you hope they happen every year," Gabrielson said. "Combine that with experienced runners and you get good results." With the state meet approaching in November, Gabrielson knows there's time to see the roster develop. And he knows any performance at Griak is an early indication of strength and not a finalized product. "Our girls will step up and they'll bring their best to help the team," he said. "I'm excited at the same time. I'm excited to see how they do and how they run patiently and confidently." With decades of running experience and knowledge, Gabrielson isn't worried about the technical aspects of preparing his team for the future. More than anything, he said, he's crafting techniques on the other end of the spectrum, trying to get the most out of his team through motivation and insight. "Coaching is an art," he said. "As a coach, I want to help them reach their potential. Anyone can open a book or copy a training plan. That's great and cool, but I don't think those things always work for young distance runners. I apply what works for us, and what I really enjoy is creating ways to help the girls race well. "Creating that tight community, that real tight team feeling," he added. "That's really where it's at."